Well you have kept requesting when can we have Daryl back at Centro CBD and I am happy to say that after 7yrs when Daryl opened up our first concert he is finally back. Right now, Daryl Braithwaite is showing no signs of slowing down. Daft Punk recently sampled The Sherbs' ‘We Ride Tonight’. In 2017, Daryl has entered the ARIA Hall of Fame as a solo artist. 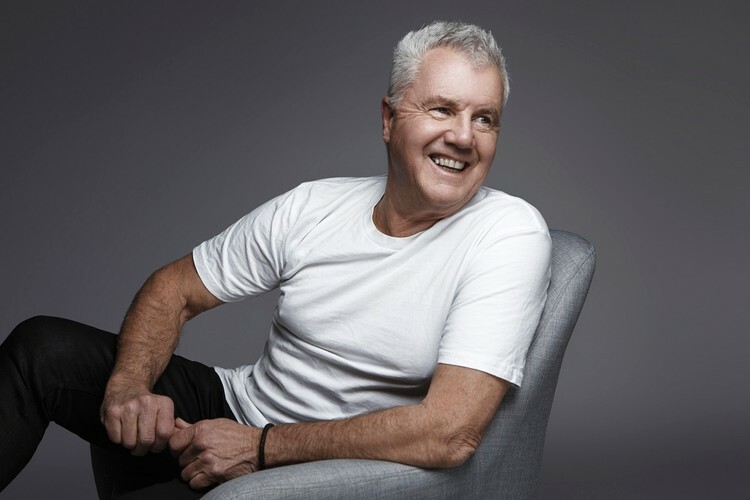 More than two decades on from the partnership that produced the multi-platinum albums 'Edge' (1988) and 'Rise' (1990), Sony Music Australia is ecstatic to announce the release of the legendary Daryl Braithwaite's album 'Days Go By!' The album showcases Daryl's career highlights to date and features brand new music. In December 2017, Daryl’s new album enters the ARIA Album Charts @ Number One. Always a fine interpreter, here Daryl has recorded James Reyne’s ‘Motor’s Too Fast’, Peter Gabriel’s ‘In Your Eyes’, Chicago’s ‘If You Leave Me Now’, while reworking ‘When We Were Kings’ which featured in the 1996 documentary of the same name. "I guess, overall, I'm happy I took up singing," says Daryl with his customary modesty. "I really am. And, without labouring the point, I think that I've been very fortunate to have had a lot of help from different people as well. It seems to have come together. Why it's lasted this long, I think it's because I love it. I love doing it, and I love audiences."